Southwest Michigan Home Performance Analysis | Blower Door Testing and More! Lakeshore Home Diagnostics is located in Allegan, Michigan. We proudly serve Southwest Michigan: the Greater Kalamazoo/Grand Rapids areas and everything in between. We provide blower door testing, duct leakage testing, infrared analysis and home performance analysis for builders, renovators, HVAC contractors, and homeowners. 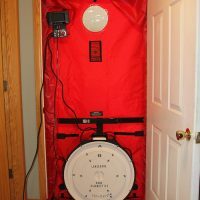 Blower door testing is used to test the air tightness of residential buildings. Use of building wraps, moisture barriers and high efficiency windows can result in a tight house. A tight house has fewer openings that fresh air can enter into. A tight house without the proper ventilation can result in stagnant air, with no means of removing moisture created by daily activities (showering, cooking, dish washing). This can lead to problems such as condensation on windows, mold growth, etc. On the other hand, homes with significant leakage can result in comfort issues such as drafts and high energy bills. As far as leakage goes, the most important leaks to identify in a house are leaks to the attic, crawlspace, attached garage and other framing connections. 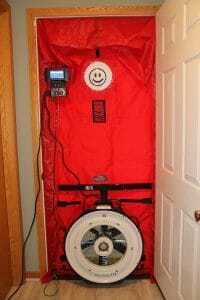 Blower door testing can be used as a diagnostic tool to estimate the amount of leakage between the conditioned space and attached structural components (attic, crawlspace, attached garage). This information can be used to prioritize where sealing efforts should be made. 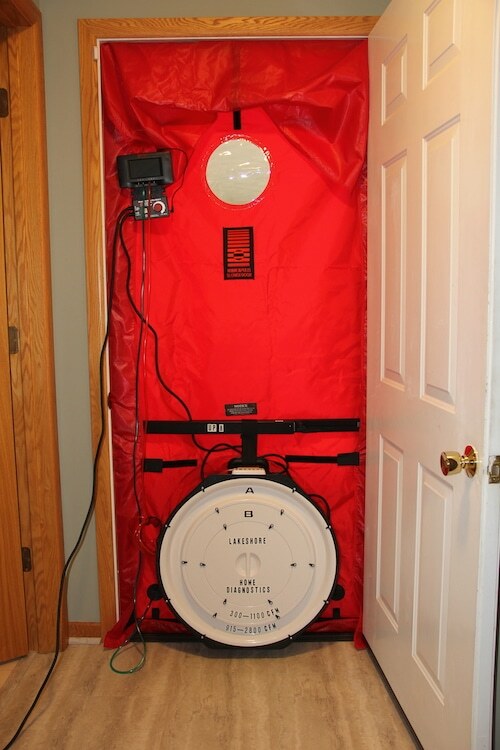 The Michigan Uniform Energy Code requires blower door testing on all newly constructed homes. LHD uses state of the art equipment for its blower door testing. A calibration verification is performed in the field prior to each test to ensure accurate results. Final reports can be generated at the job site the day of the test and can be supplied as a hardcopy, e-mail or texted. 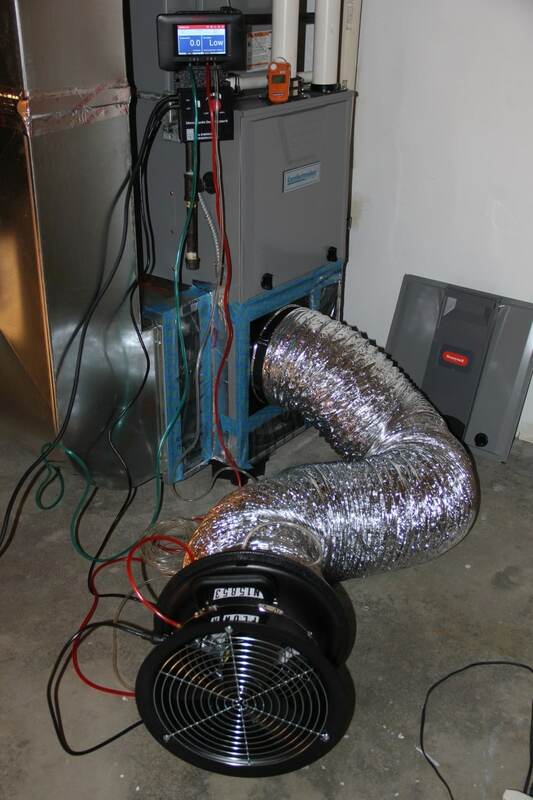 Studies show that air duct leakage can account for up to as much as 25% of total energy loss. If the leakage is to the outside the energy penalty is severe. If the leakage is to the inside there is no energy penalty, however, contaminants (dust, mold, insect parts, rodent feces) can be pulled into your air duct system, potentially creating health issues. Duct leakage testing is performed to determine the rate of total duct leakage or leakage to the outside. Although not required, exceptional builders/HVAC contractors choose to perform duct leakage testing at the rough-in stage. 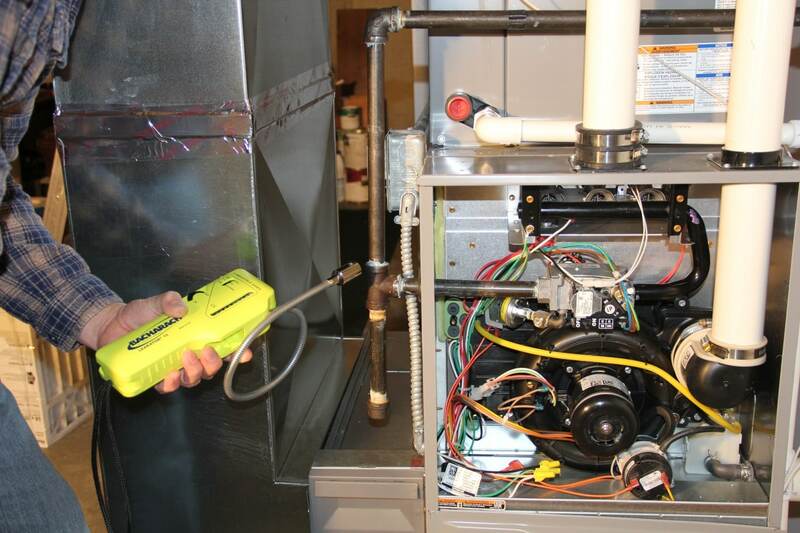 Testing can be performed either with or without the AHU in place. 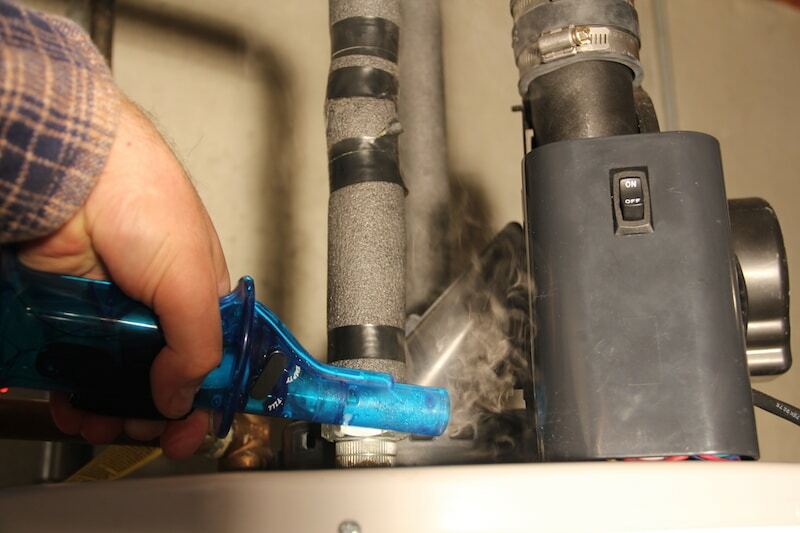 Leak locations can be identified by injecting a harmless fog into the system. The leaks can then be sealed and the leakage test performed again. Passing this test alone, can be a strong selling point (i.e. 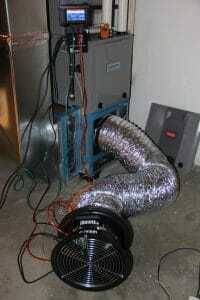 efficient, healthy duct system). The Michigan Uniform Energy Code requires duct leakage testing on all newly built homes when a component of the ductwork is outside (i.e. in an attic, crawlspace or garage). 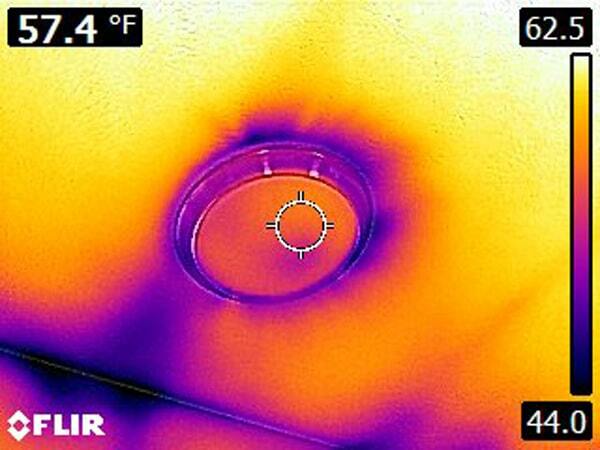 If all of the duct work is inside the thermal envelope, duct leakage testing is not required. 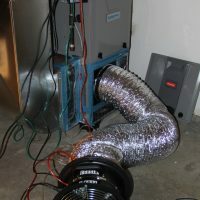 LHD uses state of the art equipment for its duct leakage testing. A calibration verification is performed in the field prior to each test to ensure accurate results. Final reports can be generated at the job site the day of the test and can be supplied as a hardcopy, e-mail or texted. CAZ (Combustion Appliance Zone) testing is a comprehensive safety test that identifies proper operation of combustion appliances in the home. The test is performed to ensure that all of the occupants are in a safe living environment. 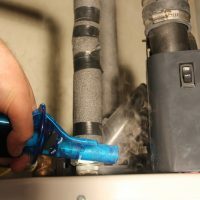 Combustion appliances such as the water heater and furnace generate hazardous gases that need to be vented to the outside. During the CAZ test we are determining whether or not there is any spillage or back drafting of these gases from the appliances. In addition, we are looking for evidence of flame rollout, which indicates a fire hazard. 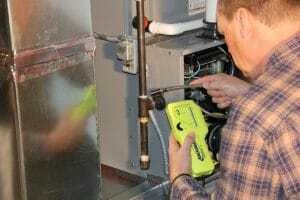 During the test we also monitor and record CO levels and test for any gas leaks. A series of tests is performed under worst case depressurization conditions with bathroom fans and other exhaust fans running. This is a worst-case scenario for checking flame rollout due to the negative pressure. Passing all of these tests provides the homeowner with peace of mind, and confirmation that they and their family are living in a safe environment. 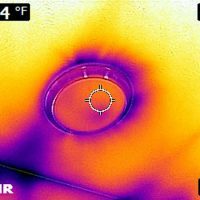 “Infrared” or “thermographic” analysis is a non-contact, non-destructive test that can be used to instantaneously identify differences in temperature (ΔT) of various surfaces. 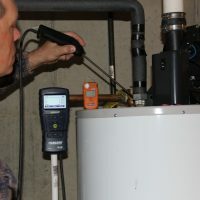 It is an extremely useful tool for home performance inspection. It can be used to locate hot and cold pipes in walls, air leaks, areas where there is insufficient or no insulation and even rodents and insects. It can also be used in conjunction with a non-penetrating moisture tester to quickly locate surfaces/materials that are high in moisture, indicating possible water damage. 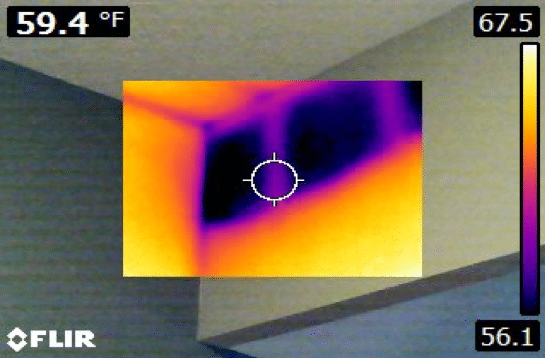 LHD uses a state of the art Flir® infrared camera for infrared analysis. 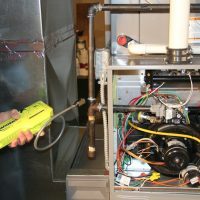 A Lakeshore Home Diagnostics home performance analysis is a comprehensive package that includes blower door testing, duct leakage testing, CAZ testing and infrared analysis. 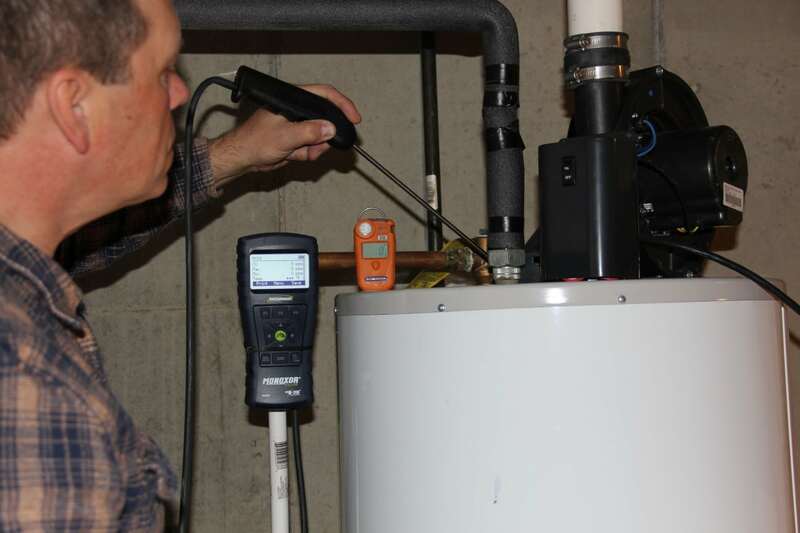 We will also check the temperature of your water heater and adjust to the optimum temperature (120°F), with approval from homeowner. Approximately 3-5 days after the testing has been completed, a comprehensive report will be generated and reviewed with the homeowner. Identified deficiencies and potential improvements will be discussed with the homeowner.